Kinesthesia is a mind/body interaction of the central nervous system that can facilitate specific functions of muscles, ligaments, and tendons. For the singer, the resulting kinesthetic experience is one of specific physical responses motivated by informed and mindful intentions that together facilitate refined singing. Unlike elusive imagery, kinesthetic awareness provides tangible feedback to the singer. The methods and goals of pedagogies for science and for singing differ, but the object of study for both is vocal function. However, whereas science focuses on cognitive understanding of vocal function, applied voice study focuses on the kinesthetic experience of skilled singing. The rationale for a fact-based kinesthetic pedagogy will be presented. This applied pedagogy seeks clarity and efficiency through cultivated simplicity of terminology and mindful focus on the physiological essentials of good posture, breathing, resonance, and/or articulation. 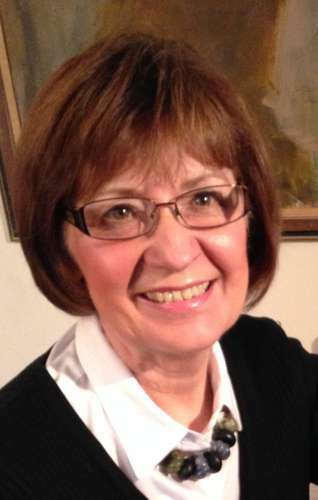 Karen Bauer, Professor Emerita, North Park University, Chicago, taught applied voice and voice pedagogy for 35 years, serving as Director of the Master of Music in Vocal Performance since its inception. Recently retired, she continues to teach as an adjunct professor of voice at North Park and in her home studio. A member of NATS since 1978, she served as Chicago Chapter President and in various board positions, including registrar for the1986 NATS National Conference. She has given master classes in the US, England, and South Korea. Two of her articles on the Baroque solo cantata were published in Journal of Singing in 2007. Her book, The Essentials of Beautiful Singing: A Three Step Kinesthetic Approach, was published in 2013 and received positive reviews in Journal of Singing, VoicePrints of the New York Singing Teachers’ Association, International Choral Bulletin, and Choice Reviews for Academic Music Libraries, among others. In October of 2015, she presented a paper on kinesthesia of singing for the 2015 NATS Central Region Conference in Bourbonnais, Il. Her presentation for the NATS National Conference 2016 elaborates further on the role of kinesthesia in singing.